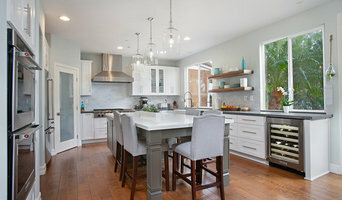 Custom Home Builders and Remodelers: REMODEL, RESTORE or REBUILD? It's likely the recession hasn't lessened your interest in improving your home, only delayed it. Thoughts of more space and natural light have always interested you. Or you're envisioning a home that reflects the size of your family or some extra perks that you've worked hard to earn. When the time comes, you have many options, and knowing what to ask potential contractors is vital. “You should first confirm the contractor is licensed and has a clean business record”, says Dave Steigerwald of Steigerwald-Dougherty Custom Home Builders. “It seems elementary, but it’s necessary for permits, zoning and safety.” Next, dissect their portfolio, taking note of design styles. “Don’t just look at photos, visit some of the homes they’ve built and talk to the homeowners about their experience”, added Pat Dougherty. “It’s about trust. A contractor’s integrity is paramount.” Also, find a contractor who will listen closely to your wants and wishes. If they are taking written notes, so much the better, it shows they are passionate about serving you and getting things right. The mantra at Steigerwald-Dougherty is “client and projects first – then company.” That’s been their key to success since 1984. Investing in your home today can make it more comfortable as well as save on energy and water costs. 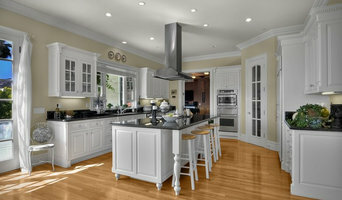 As the real estate market recovers, remodeling your home will increase its value to potential buyers. We provide the expertise for your new custom home, remodel or restoration and we’ve been doing it for over 28 years. At La Costa Builders Inc, we know that the home you live in effects your quality of life in many ways. From waking up and taking that first sip of coffee in your new state of the art kitchen to bathing at night in your new dream bathroom, we will help you get there in a fun and relaxing experience. La Costa Builders Inc is family-owned and operated in Southern, CA. Since our company opened it's doors, we’ve treated every customer like they were a part of our family. Other companies may offer similar services, but our services exceed most standards and come with complete attention to detail. Kahle Steinmetz is the president and owner of LCB and has lived in North County since birth. His reputation is important to him which is why this company has seen so much success. His energetic and dedicated personality gives this company a new fresh edge on the competition. Kahle Steinmetz is a licensed and insured general contractor in the state of California with a diverse project background. Design, construction and creativity have been a driving passion for Kahle. His passion began at young age in the construction industry while working a project manager in both the commercial and high-end residential industries on the way to his current role as owner of La Costa Builders, Inc. Kahle’s passion started when he attended The New School of Architecture in San Diego. From there, he went on to working in the construction and design field, then supervised and project managed under some of the most respected contractors in San Diego. Kahle has over fifteen years of construction experience gained from building 12,000+ sq ft estate homes in Rancho Santa Fe to surgical centers in medical buildings. It is through this hands on experience that has forged Kahle’s knowledge of construction techniques that incorporates the best, quickest, and most efficient building practices. Kahle opened La Costa Builders, Inc in 2009 and quickly his company has grown because of his and La Costa Builders stellar reputation through the spread of client referrals. Kahle’s passion is designing and building high-end custom and unique homes. He has been fortunate to attract a clientele that allows him to create magazine quality results while maintaining an timely schedule and remain within budget. Sign Up for Our Remodeling Workshop! Rancho Pacific is a North San Diego County based general contracting corporation which has been in business since 1989. We have built and/or remodeled almost every type of residence, in a variety of sizes and price ranges. I stay actively involved through the entire project and work with highly skilled architects, engineers, sub-contractors and craftsmen. Estimates are free so call for an appointment! We bring the highest quality materials, the best craftsmanship and superior customer service to each and every project. Tarlton Enterprises Inc. (TEI) is a unique blend of management and talent; efficiency and ethics; commitment and creativity brought together in one company to provide the best construction services to the clients it serves. In business since 2005, clients benefit from 30 combined years of experience in remodeling and providing only the finest in artistic custom designed construction. The team brings the highest quality materials, the best craftsmanship and superior customer service to each and every project. TEI has the privilege of working with high profile clients on many elaborate and state of the art projects and received the honor of having work featured twice in the In Style Magazine Home Edition. Each of us understand the importance of meeting budgets and schedules. We work closely with every client to develop a budget that achieves their goals while providing top quality workmanship. General, or construction contractors, are often known as project managers. They oversee the entire remodeling or new home construction project and facilitate all day-to-day tasks that move it toward completion. A Rancho Santa Fe general building contractor will work with your architect to review plan as you build a house and ensure everything is in place before work is started as well as arrange for permits and necessary inspections. While good local home improvement contractors in Rancho Santa Fe will have the skills to handle certain tasks onsite, such as carpentry, he or she is also responsible for hiring subcontractors for the majority of jobs, such as electrical work, painting or plumbing. In addition, the general contractor should be on-site regularly to inspect the progress and resolve issues. Here are some related professionals and vendors to complement the work of general contractors: Architects & Building Designers, Interior Designers & Decorators, Landscape Architects & Landscape Designers, Kitchen & Bath Designers, Specialty Contractors. Home remodeling contractors are a must for successful completion of a renovation. Because of this, it's essential that you do your homework before deciding on the right general contractor in Rancho Santa Fe as you remodel or build a house. Inspect bids carefully. Was it ready when the contractor promised it? Was the bid for building a home unusually high or low? Each of these things can be very telling: A late bid may reflect timing standards, and an off-the-mark bid could be code for a pricey premium or a deliberate underbid to score the remodeling job. You should call references, carefully read reviews and visit completed projects in Rancho Santa Fe, CA to see if they’re what you expect for your job. Once you do secure your local Rancho Santa Fe contractors, read the contract very carefully to be sure everyone is on the same page. 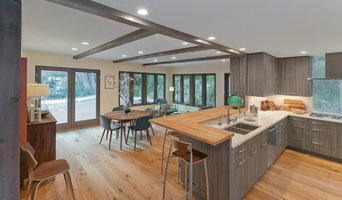 Find a Rancho Santa Fe contractor on Houzz. Narrow your search in the Professionals section of the website to Rancho Santa Fe, CA home contractors. You can also search for photos in Rancho Santa Fe, CA and contact the Rancho Santa Fe general contractor who worked on the project.